Denny Hamlin is an American stock car racing driver with a need for speed. 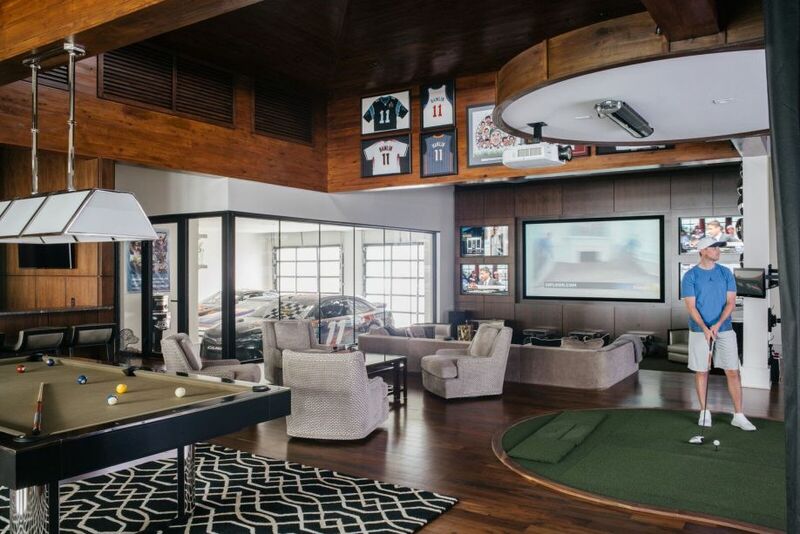 When he’s not competing in NASCAR’s Sprint Cup Series, he’s enjoying his new Lake Norman, North Carolina 30,000-square foot residence that features an indoor basketball court, bowling alley, race and golf simulator, home theater, helicopter pad, and more. The Interactive Interiors team built the residence’s entire smart home infrastructure on an ELAN Entertainment & Control System. The installed system included two ELAN gSC10 controllers, four ELAN g1 controllers, two ELAN S1616A Multi-Zone Audio Controllers, and one ELAN gMV1616 UltraMatrix Switcher, accessible via 12 ELAN 7” touch panels and 16 ELAN remotes. Hamlin also installed the ELAN app on his smartphone for remote use while on the road. He can now control the home’s lighting, 32 zones of audio, video, and security, from anywhere at any time. With ELAN at the helm, the Interactive Interiors team designed an extensive entertainment system on a whole-home Ubiquiti wireless network for Hamlin to enjoy during his time off the racetrack. Throughout the spacious residence, they installed 24 Samsung 60” televisions, both indoors and outdoors, as well as a Samsung 88” curved screen TV in the home’s central media room. Hamlin also wanted a reliable and extensive security system to protect his family and his property while on the road. 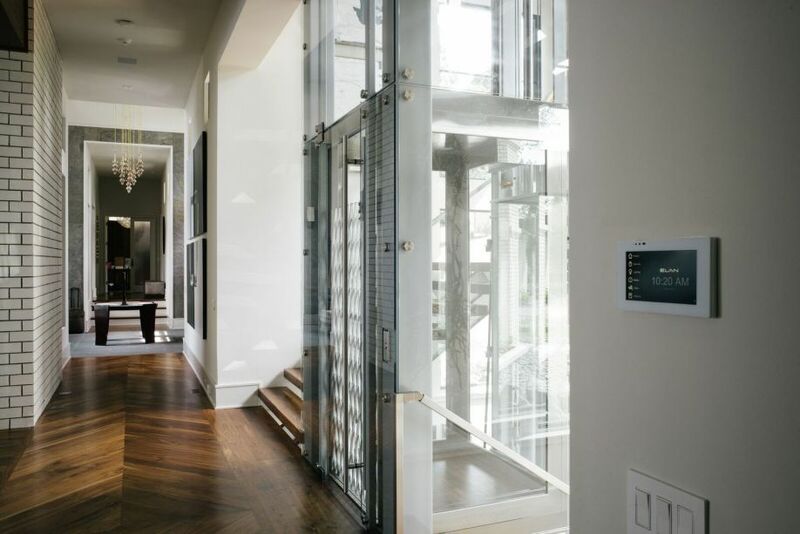 Interactive Interiors integrated a Holovision doorbell, intercom and camera at the front door into the ELAN system, enabling Hamlin to check in on the front door from anywhere in the home, or the world. A whole-home indoor and outdoor GE security system was integrated into the system for maximum protection. "ELAN ties all of my home's components together and makes them accessible from anywhere in the world," Hamlin said. "I couldn't be happier with how the system turned out." ELAN, from Core Brands, develops an award-winning line of whole-house entertainment and control solutions distributed through a comprehensive channel of select dealers throughout the United States, Canada, and countries worldwide. The new ELAN 8 update was honored with the “2017 Human Interface Product of the Year” award from the Consumer Technology Association’s Mark of Excellence Award Program Committee at CES 2017. To learn more, visit www.elanhomesystems.com.